At NY Bone and Joint Specialists, we take hip arthritis very seriously, as it can have dire effects on everyday life. Hip pain can affect your daily routine and make the simplest tasks, such as walking or climbing stairs, unbearable. You can be sure you will receive that highest quality care in NYC and the tri-state area at NY Bone and Joint Specialists. 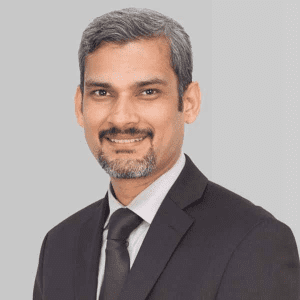 Our best-rated hip surgeon, Rupesh Tarwala, MD, has received years of training with the most prominent orthopedic surgeons across the globe before joining our practice here in NYC & NJ. He sees cases of hip arthritis every day and is an expert in all areas of treatment, from conservative physical rehabilitation, to home remedies, to arthroscopic surgery. Not only will you receive care from the top orthopedic surgeons at NY Bone and Joint Specialists, but our staff is dedicated to making your visits pleasant as well. We are happy to handle all insurance processes on your behalf and schedule your treatment appointments at your convenience. You can feel confident with friendly and highly capable staff making sure your appointments run smoothly. At any of our offices, including the Upper East Side, Midtown Manhattan, Englewood, NJ and Hoboken , NJ locations. Arthritis is a general condition that means your joint is inflamed. There are multiple types of arthritis because inflammation can be caused by numerous things, including injury, overuse or degenerative diseases. The types of arthritis are Osteoarthritis, Rheumatoid arthritis, post-traumatic arthritis, associated with infection, after avascular necrosis of head, or associated with abnormal metabolism like in gout. Though each type of arthritis has the same main symptoms, they may each be treated differently depending on the cause and severity. Arthritis may affect any joint in the body, but is most common in the hip, knee, and fingers for a majority of patients as well as the shoulder for athletes who use the joint often. Hip arthritis is common throughout the American population and osteoarthritis is the type of arthritis that affects the hip a vast majority of the time. Osteoarthritis is commonly referred to as the “wear and tear” arthritis. The inflammation and joint damage is a result of overuse. The hips are susceptible to osteoarthritis because everyone tends to overuse them. They are an integral part of any day to day task, like sitting, walking, climbing stairs, or bending. Hips are especially overused by athletes, particularly runners, or even those whose careers require a lot of standing or walking. Because it is so common, our top hip specialist, Rupesh Tarwala, MD treats patients with hip arthritis very frequently and will know how best to treat you. Our hip joints are ball and socket joints. In our hip bone there are two sockets, called the acetabulum. The top of our thigh bones, or femurs, have a ball atop a small neck. The femoral head, the ball portion of the thigh bone, is inside the acetabulum, buffered by layers of smooth cartilage that cover each bone, called articular cartilage. This smooth covering keeps the joint moving fluidly as the bones pass each other. In addition to the cartilage, a lining called the synovium releases synovial fluid into the join to better aid in sliding while you move your hip. After years of gliding, the linings will eventually degenerate, leading to irritation in the joint area that will cause inflammation. Hip arthritis can cause pain from mild to severe. Arthritis is incurable. While treatment will usually stop symptoms and keep the condition from progressing, when left untreated arthritis will only worsen. Rupesh Tarwala, MD will help you alleviate your pain and slow the progress of arthritis. Pain and stiffness in your hip will usually start occurring after long periods of inactivity. You may then begin to feel pain in the groin area when walking or climbing stairs, and if left untreated, the pain can become debilitating to the point where you are in constant pain. Top NYC hip surgeon, Rupesh Tarwala, MD, will first give a thorough physical examination of your hip where he will be able to gather a good idea of your condition. Rupesh Tarwala, MD, will then order imaging tests to definitively diagnose your osteoarthritis. After speaking with you about your medical history and symptoms, Rupesh Tarwala, MD, may check a number of different things. First, he will determine your hip’s range of motion and the extent of your pain by asking you to move it or manually moving your leg. Manually moving your leg will also allow your orthopedist to feel for any grinding within your joint. Rupesh Tarwala, MD, may also ask you to walk to determine if there are any issues with your gait. After your physical examination, Rupesh Tarwala, MD, will order x-rays to get a clearer idea of what kind of damage your hip joint has undergone. An x-ray is helpful in showing a narrowing of the joint space which occurs as your bone wear down the buffer of cartilage and start grinding against each other. It will also reveal any bone spurs that develop as a result of this irritation or bone chips that may have broken off and are hanging within the joint in severe cases of untreated osteoarthritis. If you treat your hip osteoarthritis in its early stages, conservative treatment will usually help relieve your symptoms and stop arthritis from getting worse. Rupesh Tarwala, MD will always recommend trying conservative treatment for a period of time before performing any surgery. Physical therapy is the most conservative and usually most effective non-surgical treatment when done consistently under the guidance of your physical therapist. Your physical therapist will first discuss lifestyle changes that will help you avoid symptoms and alleviate pressure on your hip joint. Simple changes like adding low impact exercises to your workout rather than triggering exercises like jogging, can make a huge impact. Losing weight is also an integral part of alleviating pressure on your hips if you are overweight. Your physical therapy routine will usually begin and end with modalities, like ice or ultrasound, to relieve inflammation in your hip. When your physical therapist begins working with you, he or she will first guide you through stretches to increase your flexibility so you feel a greater range of motion in your hip. Stretching will alleviate stiffness and irritation in your surrounding tissues. Once you are limber enough, your physical therapist will teach you how to perform very specific exercises to strengthen the muscles that support your hip joint which will help maintain the space between the bones of your joint, minimizing grinding and irritation. Injection therapy is another option when pain is interrupting your daily life. Corticosteroid injections are direct injections of a steroid medication that will provide anti-inflammatory relief for a long period of time. The duration of relief varies from patient to patient, but you will usually feel the effects for at least 6 months. Corticosteroids injections can be repeated as therapy every few months as needed, but the main objective is to relieve inflammation enough to make physical therapy more effective, helping the joint in the long run. At New York Bone and Joint Specialists, Rupesh Tarwala, MD, along with our other top orthopedic surgeons and pain management specialists, do hip injections under ultrasound guidance to make sure the injection is at the right spot. In late stages of osteoarthritis, conservative methods may not be enough to relive your symptoms. If at least six weeks of treatments do not returned you to your lifestyle, surgery may be the best option for you. Rupesh Tarwala, MD has many years of experience and unparalleled training in hip surgeries. He is regarded as one of the best hip arthroscopy and hip replacement surgeons in NYC and has an excellent, international reputation for his surgical skill. Hip Resurfacing procedures are done by top hip surgeon Rupesh Tarwala, MD, in cases where the ball of the femur bone is still healthy enough to leave in place. Instead, the damaged bone and cartilage of the acetabulum, or hip socket, is removed. A metal mold is cemented in place of the acetabulum to house the femoral head. The head itself is also lined with a metal mold that will glide smoothly inside the metal socket. The surgery is done as an open procedure and will take at least 6 months of rehabilitation for you to return to your normal lifestyle. Physical therapy during this time is imperative. Your physical therapist will retrain your hip muscles to walk properly and support the healing joint. It will be important that you stretch with your physical therapist and at home to avoid stiffness and scarred tissue. Eventually, you will begin building strength with your physical therapist’s guidance to reestablish the stability of your joint and resume normal range of motion. Total hip replacements are done by Rupesh Tarwala, MD, orthopedic hip surgeon, in severe cases of osteoarthritis where too much damage is done to the joint to live with. Your orthopedic surgeon will remove the damaged bone of both your acetabulum and the entire femoral head to replace your hip joint. They will then be replaced with a metal or combination of metal and plastic prosthesis. Rupesh Tarwala, MD, will cement the specially molded prosthesis into place and removing any chance of grinding to cause inflammation. The surgery is done as an open procedure and will require a two day hospital stay. You may be well enough to walk without a cane or assistance after 6 weeks, but it will take about 6 months of continuous rehabilitation to feel your full range of motion return. This procedure is more traumatic to your body than hip resurfacing, so it is imperative to follow a physical therapy regimen very carefully. Your physical therapy will retrain you to walk and stretch the tissues surrounding your hip as they heal. Strengthening will become key to support the healing joint area and for you to return to your usual lifestyle.